MES awarded contract to supply and commission a Coastal Monitoring Surveillance system on a private island resort in the Caribbean. Marine Electronic Systems has been contracted by a Private Island Resort in the Caribbean to provide a Coastal monitoring surveillance system. The system is designed to monitor marine traffic around the island and provide the resort security team with an early warning should any suspicious or unknown vessels approach the Islands coastline. MES Completes Radar refit and ECDIS installation on Hanson Aggregates fleet. In January 2016 MES was awarded a contract by Hanson Aggregates Marine Ltd for a fleet wide radar refit and dual ECDIS installation. The contract was signed early in the New Year with the aim of completing the refits during the vessels scheduled maintenance stops throughout 2016. The refit comprised of the removal of existing equipment and installation and commissioning of two new Furuno radars and a dual Furuno ECDIS suite. All six vessels are now complete and we will look forwards to supporting the Hanson fleet in the future. 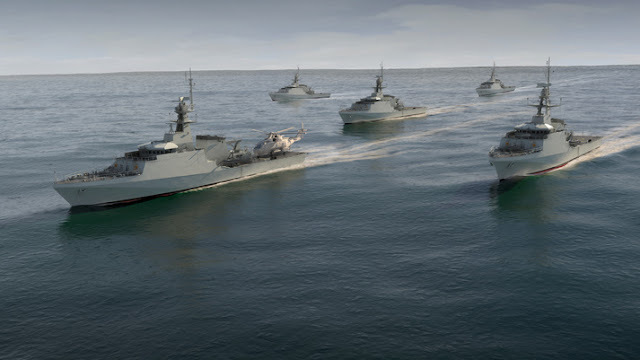 Marine Electronic Systems (MES) has been contracted by BAE Systems to provide the Navigation & Communications Outfit for two further Offshore Patrol Vessels (OPVs) to be built for the Royal Navy. HMS Tamar and HMS Spey will be the fourth and fifth River Class Batch 2 Vessels. This contract is a continuation of the order already placed with MES for the first three River Class Batch 2 Vessels. The combined outfit is comprised of over 40 systems and are an evolution of those provided by MES on earlier Amazonas Class vessels for the Brazilian Navy or earlier RN OPVs. Once work is complete on HMS Spey in 2019 MES will have had at least one active OPV programme annually for in excess of 25 years totalling 18 vessels. All of which have been built in the UK. Image courtesy of BAE Systems. MES today made the first combat system delivery to BAE Systems for HMS Medway, the main broadcast/PAGA rack is the first item to be delivered across the whole combat system following successful completion of the Factory Acceptance Test.